We are the Manufacturer of orific Meter Run from Pune. NOTE:- We deal in PAN India. - On-line density compensation possible because of on-line temperature & pressure measurement. - Various types of needle valves, gate valves & manifolds with or without IBR approval as per application. We hold expertise in offering a flawless range of Flow Meter . This is a compact orifice flow-meter combining a wafer-mounted orifice carrier, integral manifold and transmitter into a single, fully-codable & orifice-based flow-meter. We offer high performing flow measuring instrument Orifice Flow Assembly With Differential Pressure Transmeter. These are used to measure flow by inserting an orifice at part of the piping by generating differential pressure before and behind the orifice. Our easy to use and maintain measuring instrument is extensively used in various industries such refineries and chemical and many more. 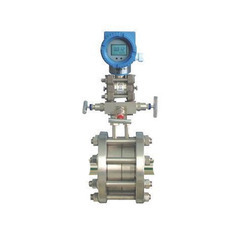 • These meters are based on the principal of differential pressure generated by Orifice element. 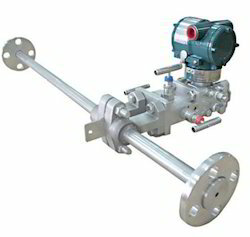 • Mailly Suitable for Gas And Steam Flow.